When it comes to independent style that makes an impact, drag queens have it sussed. 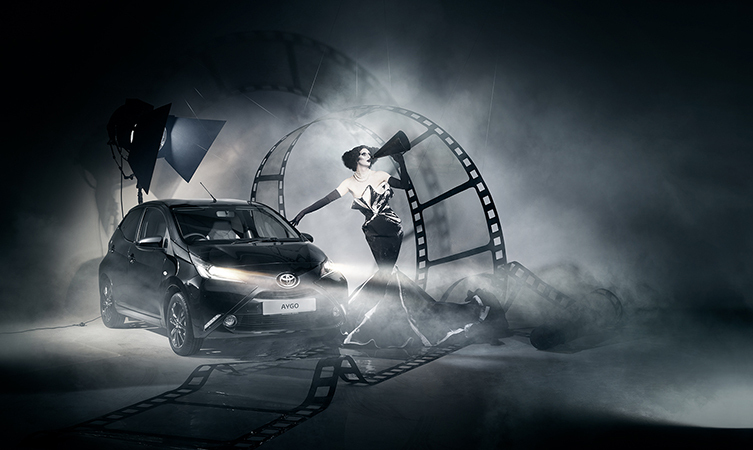 That’s why four of Britain’s finest artistes have been given free rein to transform the Toyota Aygo city car into a head-turning cover star. 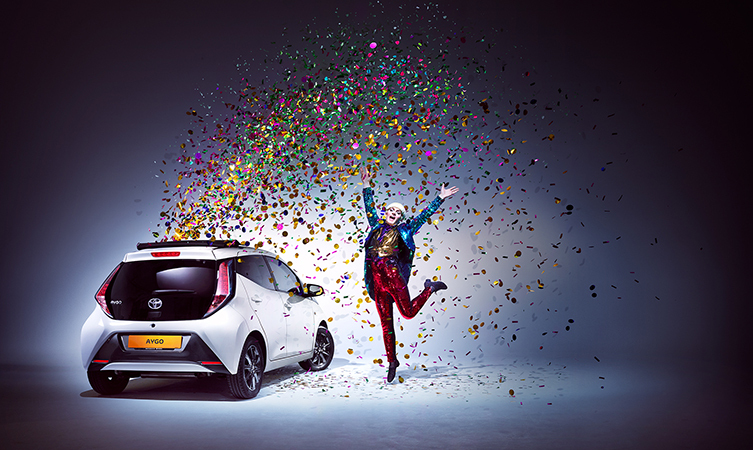 Our new Go Your Own Way campaign for Aygo, breaking this week, is about bringing fun and freedom to the everyday and letting people express their personality through choosing one of the most colourful and characterful models on the market. We’ve worked with a quartet of drag queens, each of whom was able to design the look and tone of their own photo-shoot. Three worked with award-winning fashion photographer Kristian Schuller to create individual poster campaigns and there will also be an art installation, to be unveiled in the coming weeks. Stella Meltdown, Le Fil, Alfie Ordinary and Liquorice Black were chosen for the campaign for their commitment to self-expression and living their lives entirely their own way. Liquorice Black, from Manchester, is a sultry movie star from the 1920s who performs exclusively in monochrome; Stella Meltdown, modelled on the “It” girls of the noughties, creates a media frenzy for the camera; Le Fil is a multidisciplinary artist whose work goes beyond costume to explore sculpture, music and dance; and for Alfie Ordinary, life is a Utopia of smiles, sunshine and glitter. The campaign includes a series of documentary-style films capturing the personality and story of each of the performers and the creative process behind their poster campaigns.